Smart speaker tech has matured enough that they can both be viable parts of everyone’s smart home. Thinking of getting a smart speaker for your home? Our resident tech expert makes a point-by-point comparison of the two most popular brands. The smart home has been one of the great tech dreams for decades. The marketing and media of the 60s and 70s were filled with the promise of kitchen computers, while World’s Fairs and even cartoons like The Jetsons described robots that fulfilled homeowners’ every beck and call. While we don’t quite yet have metal maids that can cook for us, the rest of the smart home dream is becoming more and more accessible each day. This is highlighted by the affordability and convenience of voice-controlled smart speakers, which offer virtual assistants that can control smart home devices through simple, natural language voice commands. The top players in this industry are Google and Amazon, whose Home and Echo devices, respectively, have sold over a hundred million devices combined. 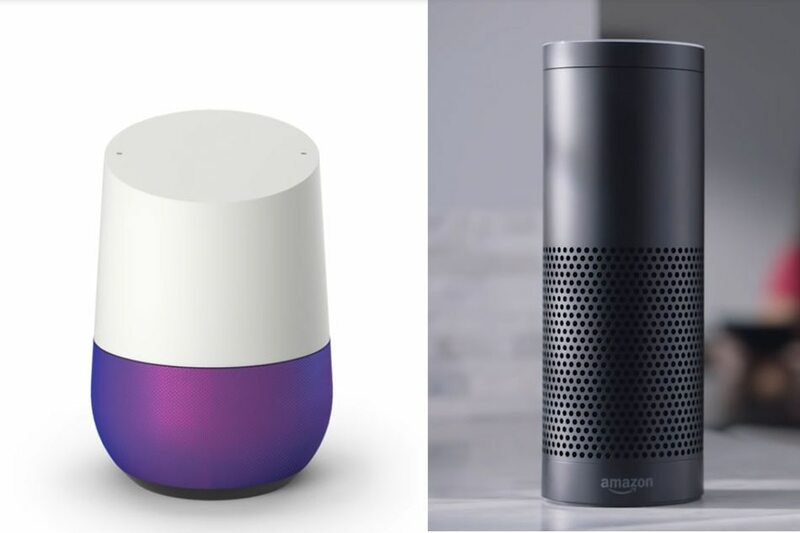 But which one is the best smart speaker, and the best virtual assistant? Let’s pit them against each other and find out. For the purposes of this comparison, we’ll only be looking at the standard Google Home and the standard Amazon Echo hardware, ignoring the smaller versions such as the Echo Dot, and display-equipped devices like the Echo Show. This is a mostly subjective competition. 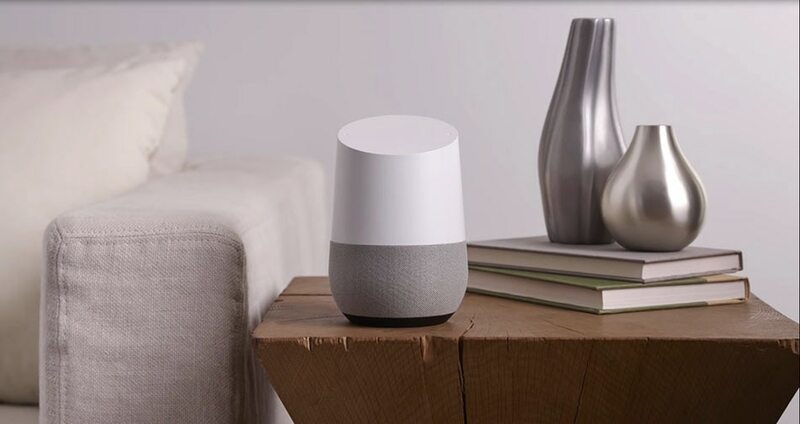 The Google Home has a unique design, and is almost like a modern sculpture. 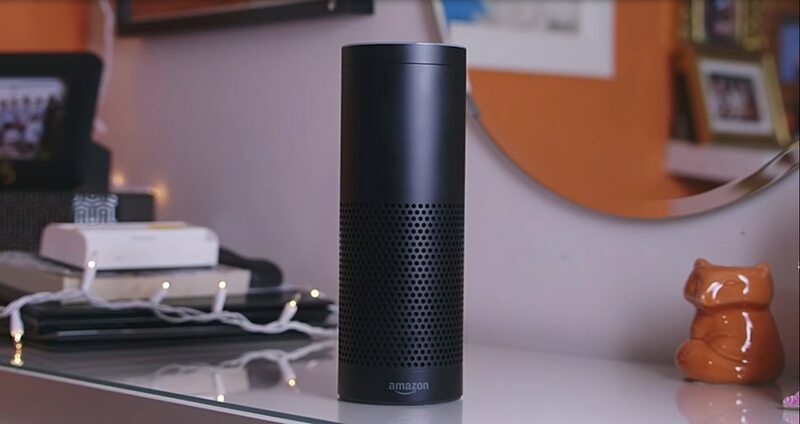 But the Amazon Echo’s simple cylindrical and wide variety of materials, including an optional wood finish, give it a classier, more timeless look that is suitable as an accent piece for any home. Google Home has plenty of punch to it, with a lot of bass that feels like it comes from a bigger speaker. But it suffers from a loss in clarity. The Amazon Echo has a more reasonable amount of bass, as well as better volume, clarity, and overall quality. Alexa, Amazon’s voice assistant, has a variety of “skills” that connect to plenty of third-party services and actions. However, Google Home takes the win here, because of Google Assistant’s powerful natural language system, which can recognize more complex questions and provide better answers. Google Assistant also supports chaining multiple commands together in one sentence, though you can have multiple preset actions with Alexa by creating custom routines. When you buy one of these devices, pick the one whose ecosystem you have more of an investment in. Choose Google Home for example if you have Play Music as your main deal, or Amazon Echo if you use Prime Music and Audible. Both of these devices support Spotify, though. While both support the most popular smart home brands and systems, Amazon Alexa can control many more third-party devices than Google can. Look up all of your IoT and smart devices and see which virtual assistant they support. However, when in doubt, choose the Echo. The standard Google Home goes for $130, while the Amazon Echo is $100, giving a minor edge to Amazon in pricing. Overall, the Amazon Echo wins the race by just a smidgen, offering better sound, having more third-party smart home support, and being cheaper than the Google Home. While Alexa isn’t quite as “intelligent” as Google Assistant, she more than makes up for it with a wider range of supported brands. That said, both are great choices for the majority of people, thanks to cross-platform support for most smart home devices. You can’t go wrong either way. Smart speaker tech has matured enough that they can both be viable parts of everyone’s smart home.